The retail and hospitality industries today rely on POS technologies to process transactions, print tickets, and take orders.Setting up the printers correctly and smartly eliminates problems caused by incompatibilities between software and hardware or by inappropriate settings, and keeps your POS system running efficiently – it is especially important when you have an integrated POS system. Below is an overview of the most popularprinter products supplied by us. However, we have a wide range of printers to suit different types of businesses, andit isimportant to choose the products which are compatible with your POS software and EFTPOS terminal(s).For more information, please feel free to contact us to speak to one of our helpful sales consultants. 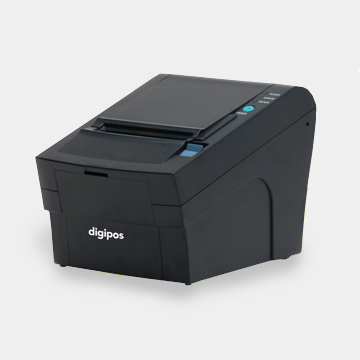 DigiPOS DS-900 series is a reliable thermal receipt printer with USB/ serial Interface, auto cutter and cash drawer kick port, external PSU, black color, 36-month return to base warranty. Thousands of DigiPOS DS-900 printers have been selected and installed by retailers and it is now regarded as one of the leading printing solutions in its class. The DigiPOS DS-900 has been designed for retail and hospitality and is suited ideally for credit and debit card transactions and can be deployed either in store or in the kitchen hospitality environment for example. The DS900 is retail ready and in terms of durability the guillotine has a life expectancy of 1,000,000 cuts. It is the performance printer that delivers at the right price. 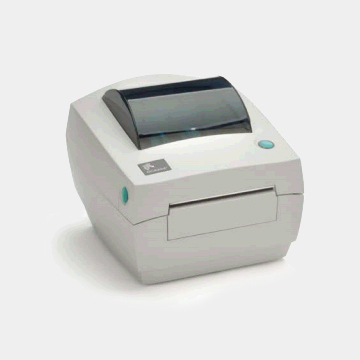 The direct thermal LP 2844 bar code label printer is ideal for applications requiring a space-saving, desktop-size, 104 mm printer. This user-friendly printer delivers optimal performance in today's on-demand desktop labeling applications. The LP 2844 has a sturdy construction with a double-walled ABS casing. The LP 2844 integrates easily into a variety of printing applications, including shipping and receiving, inventory control, healthcare, and medical laboratories, transportation and logistics, and e-commerce postage. Serial, parallel, and USB interfaces make this flexible, reliable, and affordable printer a smart investment.